This is a white Marquee with a steel frame that can be erected in smaller areas than the Peg & Pole Marquees due to the fact that no anchor ropes are needed in the erection process. The fact that there are no centre poles makes it an ideal choice to accommodate more guests. 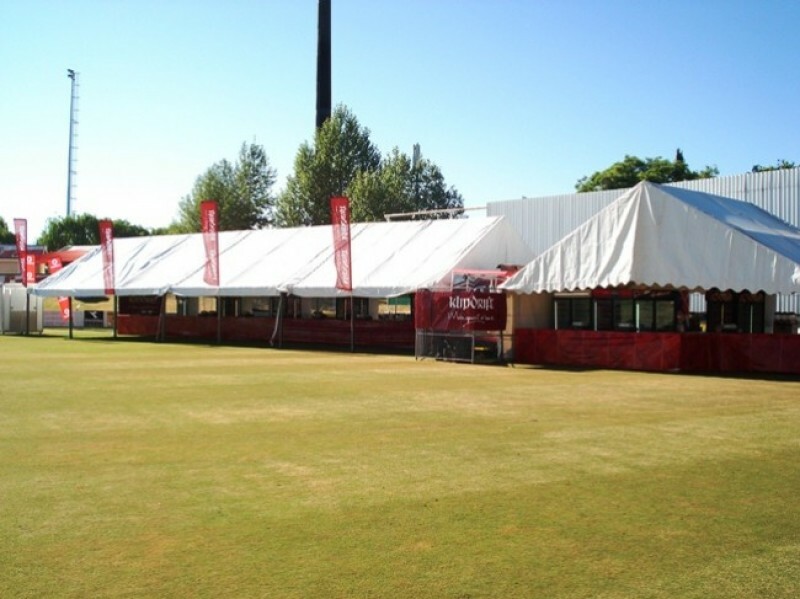 Freestanding Marquees are suitable for numerous locations and surfaces. Available in frames with widths of 2m, 3m, 6m and 9m which can be lengthened in modules of 3m. On paved surfaces drums filled with water are used to anchor the marquee. 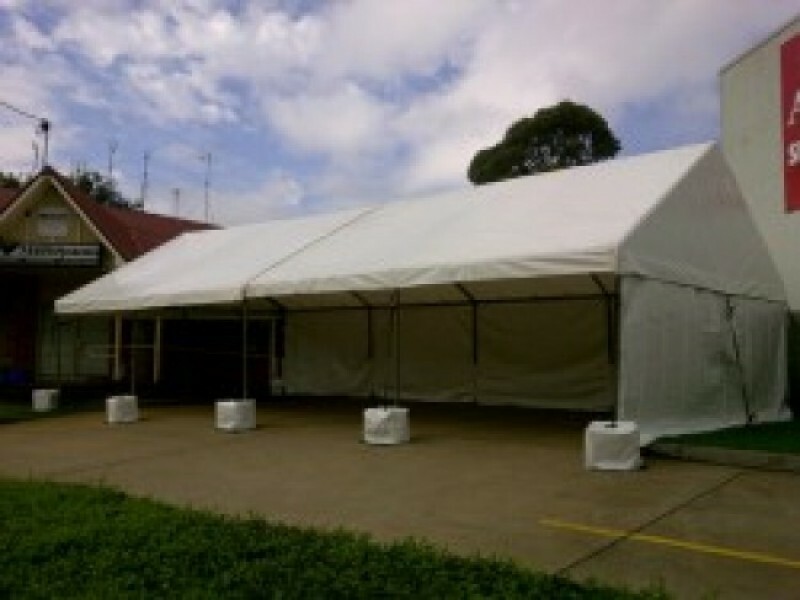 We use special covers to match the drum’s presentation to the marquee's. 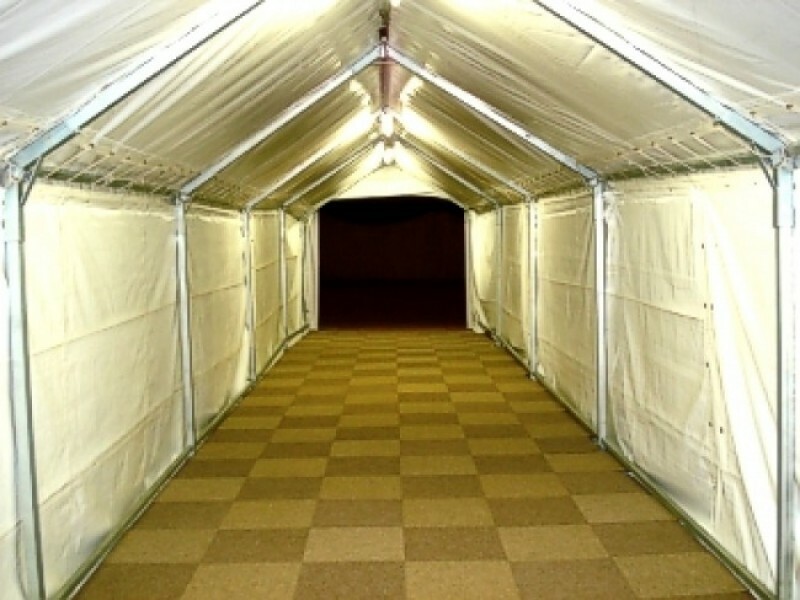 Our white walkways are a popular choice, used to link one marquee to another, or as a link between a marquee and a building. Available in widths of 2m or 3m and can be increased in length in modules of 3m.